A day of racing with Donnacha and seeing how some of the girls went after training camps. On a wet freezing January morning the event looked to be sold out and it looked like Santa found all the triathletes with their new shiny fancy gadgets and gear. I was in bike envy mode walking around transition. When we were shivering post race I think we were both ok with it. Not happy but satisfied. Our first outing together since July and we just need more practice. An enjoyable event overall and a solid hit out. Going from 1:06 to 1:02 I believe in Donnacha previous outings on the course. From a coaching perspective what would I change for the next event ? For us a team – the gravel starts can be a bit unnerving with lots of runners in race mode, we would need to get out faster and not get caught behind others. We got boxed in a bit over the first 2km before it all settled and we could move up. Its rabbit in headlights racing a bit in January, folks are coming out the back of a long winter, soaked in excitement for racing and tearing off. It can be hard to guide at times gently persuading folks to move aside while trying to make sure Donnacha doesn’t run into the back of folks. Good training – plain and simply put …. Start faster. Get your warm up right – get your strides in along with a small pacing effort. In training – practice getting out faster on your first km of your km reps for example. every race starts fast no matter what or who you race so practice it. Yes every coach in the country is telling you to build through your reps or negatively split them all, but train to race …. how many of you always go out to fast ? 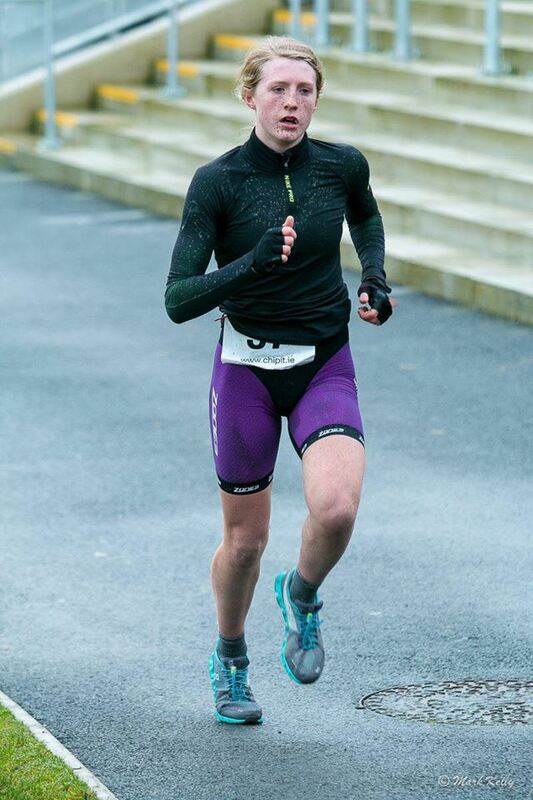 a 3.2km course which is very nice and perfect for duathlon racing. you just need that fast start to make sure it goes well. looking back over the years the times across the second runs are all a good bit slower than the first runs. I was surprised on seeing the results how much slower we were and will look to correct that among the athletes. A new bike for me to get used to and we will have to spend some time getting fitted to it. Adjusting the bike on the warm up isn’t ideal on race day. I got lucky and must say thanks to Leo Hynes for the gloves or ill be honest in saying the hole race could have been a disaster. I dont like the cold, and Donnacha was like a block of ice after the bike !! The course itself is nice. Once your out of the race course, a small descent into a tricky right hander and it rolls up and down. a tough enough climb back to transition is the only think to really look out for. There was a small bit of grouping on the course. We paced ourselves on the way out and nailed it on the way back, a high 33min for the almost 20km. a pretty poor time if im being honest and im going to put it down to the cold and no aero bars etc on the bike. The speedsters are putting out a 31 average on the course time wise and we should be capable of doing that. For this course : know the wind : and learn to ride the drags in the aero position going into the wind. You see a lot of folks sitting up on every drag. stay aero : hold your cadence and stay focused. Transitions are long here but surface is good. We had fairly good transitions in general but still an area for us to improve. Too cold and not smooth between us. More racing needed but that is the exciting bit. 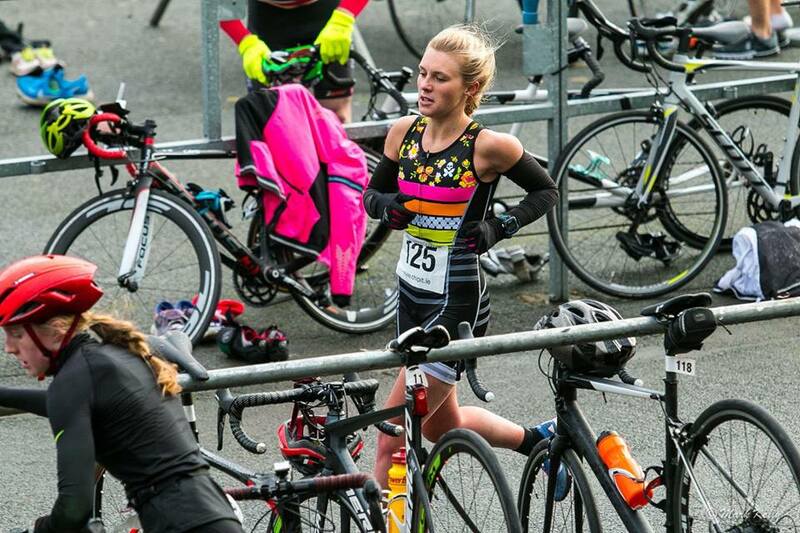 Overall im happy with how they went, 2nd overall female and first Junior and 4th female is a solid start. I think they both suffered in the cold after camps and they both ride road bikes versus time trial bikes which at this level has big play into the podium slots. We will have to nail those brick sessions as we move into phase two of the seasons program. Its great doing a bit of work with Leo and to see how far he has come over the winter period is brilliant. a lot more to come from the young fello and you cant but marvel at his attitude. its brilliant. 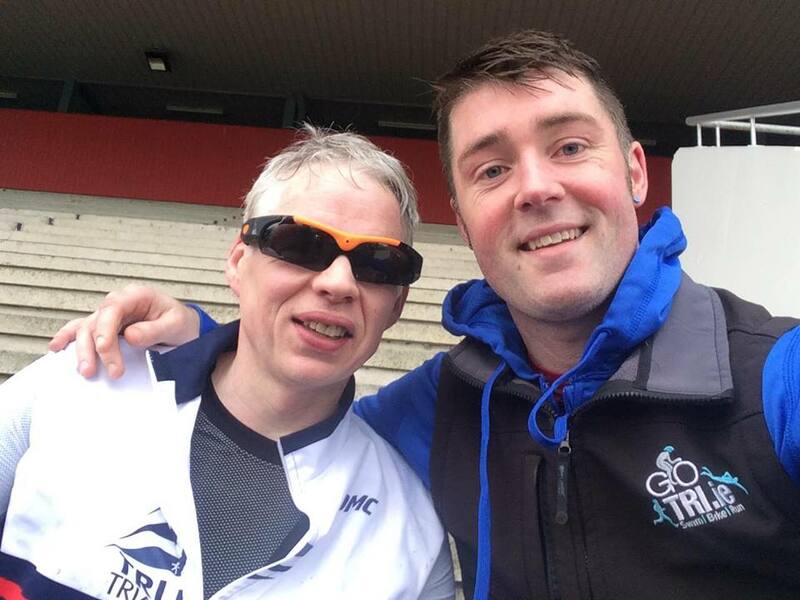 Well done to Leo and his guide Nick Skehan from Tri-lakes triathlon club. Hard work pays off. Well its a long road and we all have a lot of priorities. Its great to be involved with such a dynamic group. We are still tying down our racing targets for all us. We will try to keep you posted on all the events we are involved in as they come and go. A big thank you to Donnacha for the challenges, to Phillip Manule who came up from Limerick to support the Vi athletes, to the girls Shannon and Ella for heart and efforts and to Leo for his attitude to succeed. 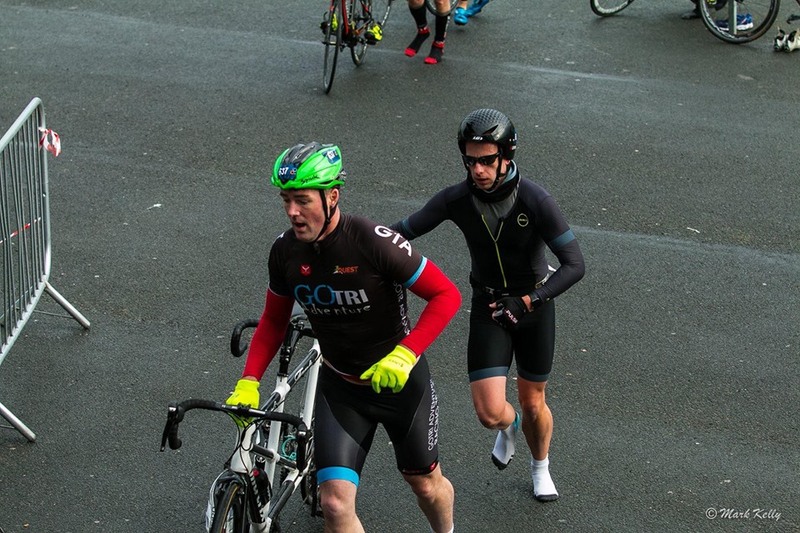 Photos by Mark – taken from the Naas Duathlon Face book page. ← Training targets : Why are we doing what we are doing ?